Physiotherapy is a vital part of an elderly person’s recovery and general wellbeing, it can give someone the confidence to lead an independent life as well as learning how to cope with certain physical restrictions. A physiotherapist will use a series of stretches and exercises to give you better mobility and in turn, a better quality of living. Physiotherapy is a holistic approach to recovery and can benefit a range of people, from those suffering with general aches and pains, to individuals that are recovering from a major operation or illness. When it comes to the older generation, being able to stay mobile for as long as possible is one of the main benefits of physiotherapy. It’s important to give older people the chance to live as independently as possible, whether it’s to help them cope with simple day-to-day tasks, or supporting them in regaining their strength, such as assisting a person with certain exercises so they can climb the stairs in their own home. Tailored exercises and activities can be used to target specific parts of the body, such as weight-bearing techniques after injuring bones or muscles but physiotherapy can also be used to aid recovery and management from health conditions such as cancer, stroke, multiple sclerosis (MS) and Parkinson’s disease. 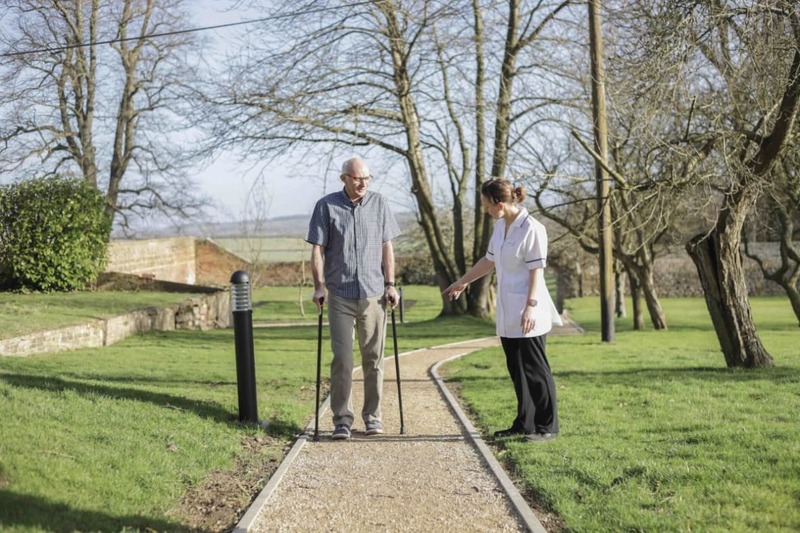 At Chilton House, we offer a huge range of rehabilitation programmes to give your loved ones a chance to be more independent. Our team of in-house physiotherapists will assess the needs of our residents on an individual basis to create a recovery and rehabilitation programme suitable for them. This can range from daily exercises such as walking around the grounds to increase stability, to more concentrated programmes for those who have lost the ability to lead an independent life. If you want to know more about physiotherapy care at Chilton House, speak to a member of the team today.